The Estonian Summer School in Computer and Systems Science 16.08.-20.08.2015, hosted by the University of Tartu Institute of Computer Science. It's an annual international event promoting interdisciplinary education of graduate students specializing in (but not limited to) computer science, systems science, software engineering, artificial intelligence, and bioinformatics. 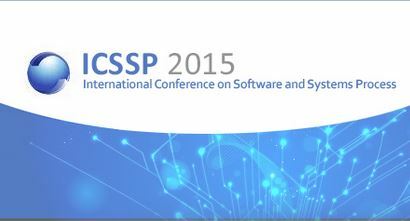 ICSSP is the conference series on the topic of software and systems development process. The mission of the BIR conference series is to foster highly inter-disciplinary research in the field of business informatics, particularly research that bridges across management and engineering aspects and that strikes a balance between scientific rigor and practical relevance and applicability. In addition to a research, work-in-progress and industry paper sessions, BIR'2015 will feature a doctoral consortium and workshops aimed at attracting work-in-progress research in focused emerging topic areas.